Hazard has frequently stated his dream of playing for Real Madrid in recent years while the La Liga giants have long considered the Belgian international a potential big-money signing. While the Blues are willing to splash the money – a new deal worth more than £300,000-a-week that has long been on the negotiation table – to keep the 28-year-old at Stamford Bridge beyond his current contract that runs until the end of the 2019-2020 season, Chelsea head coach Maurizio Sarri has recently stated the decision to leave Stamford Bridge would be for Hazard to make. 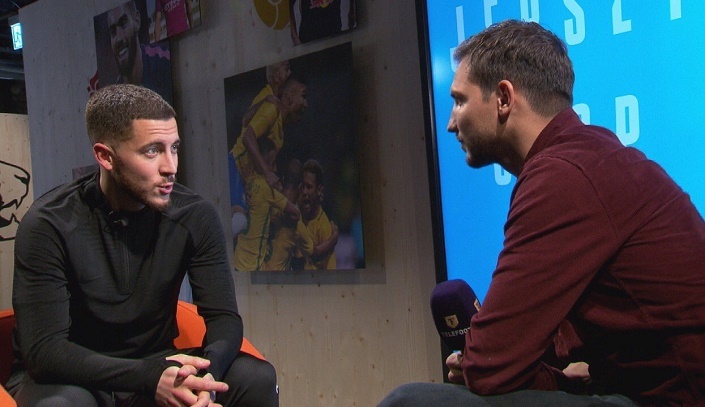 In recent developments to Hazard’s situation at Chelsea, a French radio station has recently released an interview with the Belgian winger in which he stated that he has already made a decision on his future. However, he maintains that he will make that announcement at the right moment as he only intends to keep all of his focus and energy on doing well on the pitch for Chelsea. Should Real Madrid make a concrete move for the Belgian talisman in the summer, Chelsea will reportedly demand a fee in the region of £100 million.